Although there were professors and administrators in the room -- including the college president -- apparently nobody had the guts to put a stop to these storm trooper tactics. Nor is it likely that there will be any punishment of those who put their own desires above the rights of others. On the contrary, these students went on to demand mandatory campus "teach-ins," and the administration caved on that demand. Among their other demands are that courses on ethnic studies, and on gender and sexuality, be made a requirement for graduation. Just what is it that academics have to fear if they stand up for common decency, instead of letting campus barbarians run amok? At a prestigious college like Swarthmore, every student who trampled on other people's rights could be expelled and there would be plenty of replacement students available to take their places. Although colleges and universities across the country have been giving in to storm trooper tactics ever since the nationwide campus disruptions of the 1960s, not all have. Back in the 1960s, the University of Chicago was a rare exception. As Professor George J. Stigler, a Nobel Prize winning economist, put it in his memoirs, "our faculty united behind the expulsion of a large number of young barbarians." Creating whole departments of ethnic, gender and other "studies" were among the price of academic peace. All too often, these "studies" are about propaganda rather than serious education. 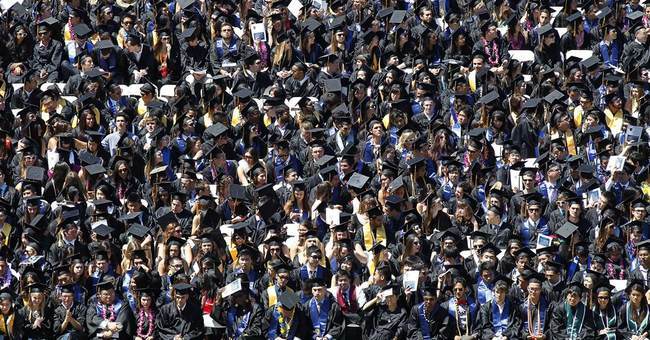 Academic campuses have become among the least free places in America. "Speech codes," vaguely worded but zealously applied to those who dare to say anything that is not politically correct, have become the norm. Few professors would dare to publish research or teach a course debunking the claims made in various ethnic, gender or other "studies" courses. It's not just academics who won't defend decency. Trustees could fire college presidents who cave in to storm trooper tactics. Donors could stop donating to institutions that have sold out their principles to appease the campus barbarians. But when nobody is willing to defend civilized standards, the barbarians win.